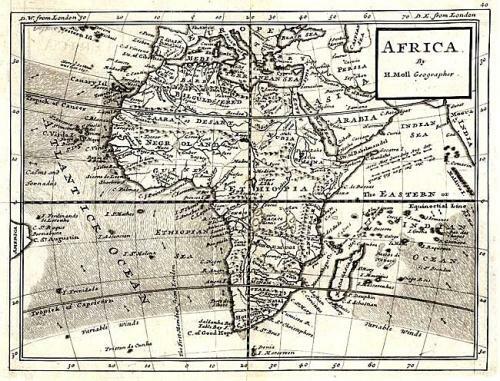 From: Atlas Minor 1732. Published in London. An interesting map of the continent with the interior fully engraved with many interesting features. This is an early effort at thematic mapping with the trade-winds located and directions given. The map is in very good condition with a dark impression on hand laid paper. There is a tiny spot on the fold that does not detract from the image.